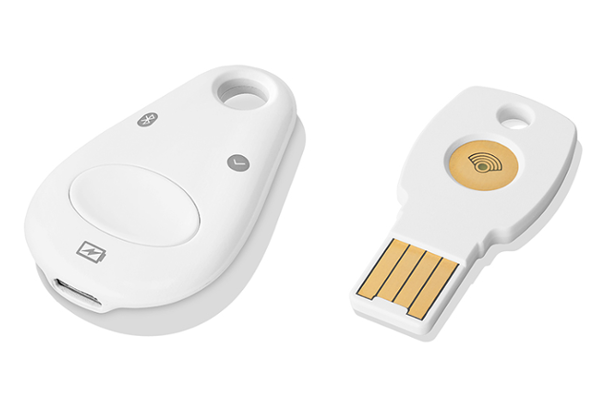 Google announces FIDO-compatible Titan Security Key. Google has today announced Titan Security Key, a FIDO security key that includes firmware developed by Google to verify its integrity. Titan Security Keys are available now to Google Cloud customers and will be available for anyone to purchase on the Google Store soon. Security keys are the strongest, most phishing-resistant authentication factor for high-value users, especially cloud admins, to protect against the potentially damaging consequences of credential theft. Titan Security Key gives you even more peace of mind that your accounts are protected, with assurance from Google of the integrity of the physical key. Titan Security Keys work with many devices and apps, support FIDO protocol, and are built with a secure element and a firmware written by Google that verifies the integrity of security keys at the hardware level. Now available through your Google representative and soon in Google Store. 2-step verification with a security key uses cryptography to provide two-way verification: it makes sure you're logging into the service you originally registered the security key with, and the service verifies that it's the correct security key as well. This provides superior protection to text-message verification. Security keys make 2-step verification easy. Simply tap the button on your key instead of retyping codes. Unlike other 2-step verification methods that use one-time codes via text message, security keys don't require a phone number on your account. Security Key - 2-step verification with a security key offers a higher level of protection than 2-step verification with text messaging. Security keys send cryptographic proof that users are on a legitimate Google site and that they have their security key with them. Phishing Control - A common tactic criminals use is to set up phishing sites that pretend to be Google and ask for 2-step verification codes. Security keys provide better protection against these, and other, attacks by using encryption and working only with the sites they're supposed to work with. Compatibility - Security keys are compatible with all forms of Chrome browser. The same security key you use to authenticate yourself on Google will also work on GitHub, Facebook, Dropbox, and many other sites. Titan Security Key, available now to Cloud customers, and coming soon to the Google Store.